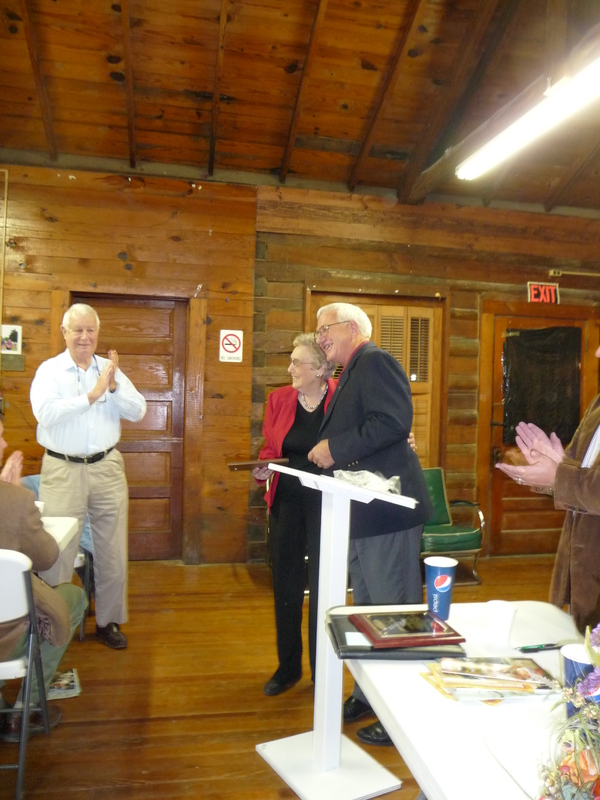 Chamber of Commerce met Tuesday, November 16 at the American Legion Hut in the city park for its Annual Thanksgiving Meeting. At the meeting Chamber President Doug Ainsworth presented outgoing Ribbon Cutting Committee Chair Dovie Kincaid with a plaque recognizing her for her six years of service. He also presented Chamber Director Adam Holland with a plaque recognizing him as a member of Cambridge Who’s Who Class of 2010 of American Executives. President Ainsworth also announced he will be stepping down effective January 1, 2011 after six years on the board. 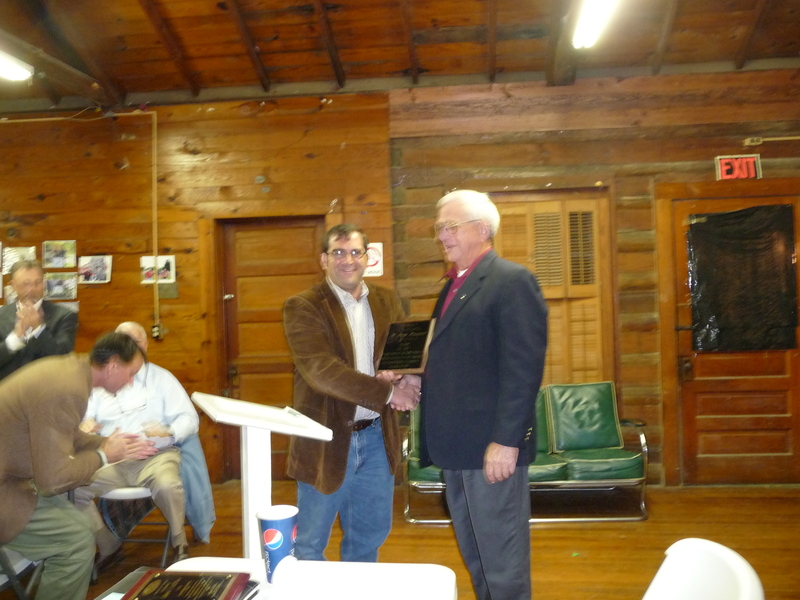 Director Adam Holland presented him with a plaque from the board recognizing him for his years of service. Brenda Hagan and Joann Deere were elected to a second three-year term on the board, and Dr. James Barnes was elected to his first term. Following the business portion of the meeting Tracy Young with the Louisiana Promotion and Tourism Association made a presentation of the services they provide to communities around the state. This entry was posted in Uncategorized and tagged Ainsworth, Board, Chamber, Meeting. Bookmark the permalink.